Very cold conditions. Himalayan and alpine climbing. Technical ice and mixed climbing. 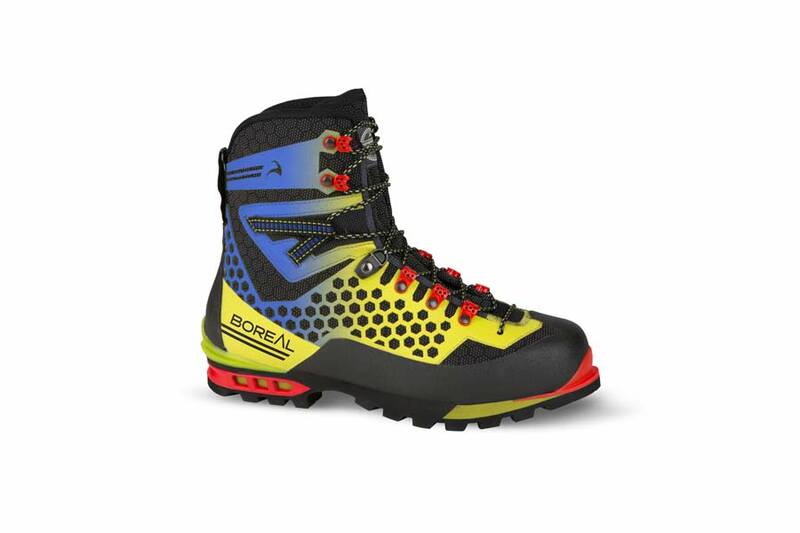 Nelion is a traditional mountain boot reinvented for the 21st century to take advantage of the latest advances in advanced modern synthetic materials. The result is an alpine mountaineering boot which has a winning combination of extremely low weight, high comfort and superb durability. 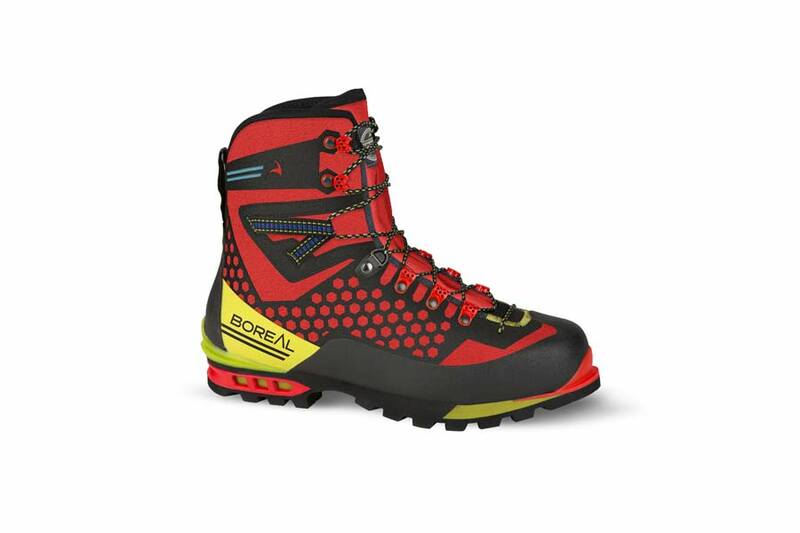 Arwa is an alpine mountaineering boot made with the very best modern materials and a fit honed by extensive testing with a team of leading alpinists. 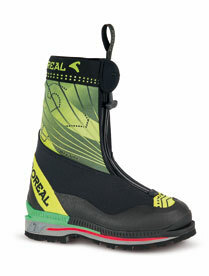 The result is a precise, warm, comfortable and lightweight mountain boot which will take you faster and further. 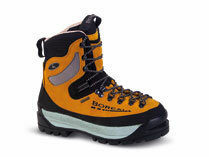 A perfect choice for ice/mixed climbing and general alpinism. 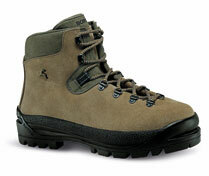 Triglav is a lightweight and technologically advanced mountain boot named after the highest mountain in Slovenia and the Julian alps; exactly the kind of terrain in which this boot excels. Summer alpinism, glacier travel, high mountain trekking. 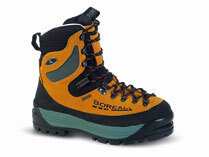 Boreal Brenta is your first choice for high mountain via ferrata routes. 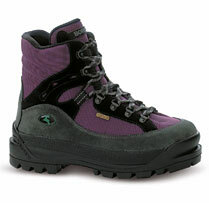 A via ferrata boot must be comfortable for hiking the long approaches, compatible with crampons for crossing snow patches and must be precise for climbing and tricky scrambling. Brenta has been designed to do all this with ease. 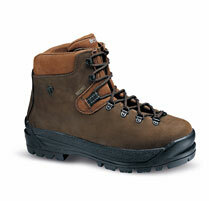 Well proven mountain boots with rock-solid credentials. Trusted by professionals and discerning enthusiasts. Mali offers a lighter weight alternative to equivalent leather boots thanks to the weight savings of synthetic textile materials. 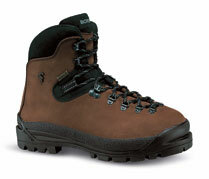 A deservedly popular classic model in our range Mali is great for high mountain walking both below and above the snow line.